We’ve been keeping Allan really busy this year forcing him to go and listen to loads of live music and take pictures of musicians. We really don’t know why he puts up with it. To show how grateful he is, he’s put together a highlights package of his favourite gigs this yeqr, in no particular order. We think it’s a sneaky way of shoehorning more of his photos in. Martin Harley and Daniel Kimbro at Camden Forge – I’ve seen Martin Harley and Daniel Kimbro before. They’re stunningly good individually, but more so as a team; the two voices, Daniel’s upright bass and Martin’s acoustic guitar and Weissenborn are a perfect combination. Even the verbal sparring between songs adds to the entertainment. As an added bonus, The Forge has a gallery overlooking the stage that they allow polite photographers to use, which gives a unique view of instruments played on the lap. The two sets flew by as the moved seamlessly from originals like “Winter Coat” to energetic covers like “Nobody’s Fault but Mine” and Tom Waits’ “Chocolate Jesus”. I knew it was special when I looked at my gig-buddy Paul and saw him staring in awe during one of Martin’s solos – he’s not easily impressed and that’s high praise indeed. Great songs and great performances. 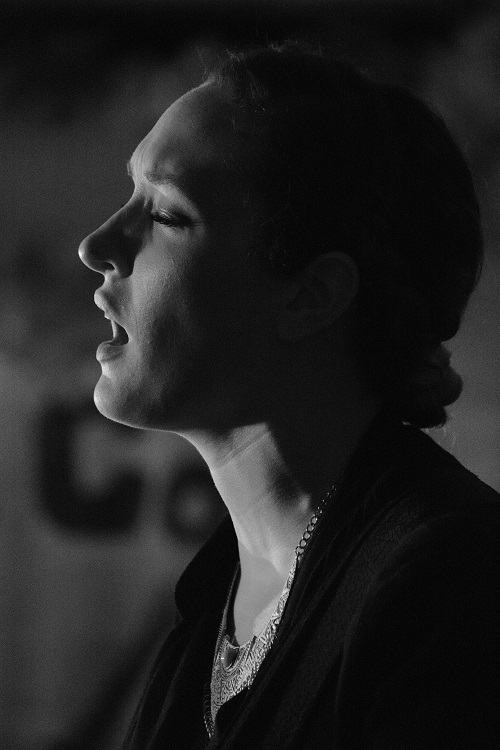 Hannah Aldridge and Dana Immanuel & The Stolen Band @What’s Cookin’ – It’s an interesting venue in a room above a working men’s club in Leytonstone, but it’s only a bus ride away from home, so it’s a no-brainer. Now, I take every opportunity to see Hannah Aldridge. She’s a gifted songwriter with a powerful Southern rock voice and she’s someone I love to photograph because she has a different visual image every time. The night looked even better when I discovered that the headliners hadn’t turned up and the short-notice replacement was Dana Immanuel. 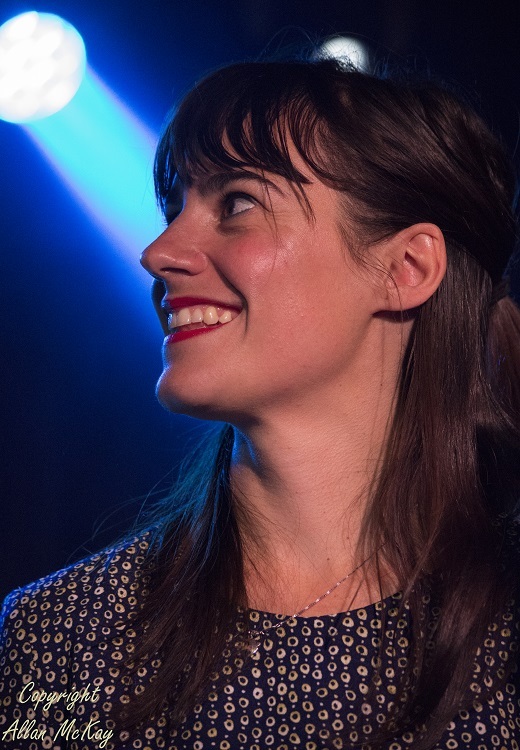 Hannah did a great job, picking songs from her latest album “Gold Rush” and a few old favourites to win over the crowd and even managed to fit in a bit of audience participation during “Burning Down Birmingham” and then it was time for Dana Immanuel. The instrumentation of the all-female line-up gives a hint of the eclecticism to come – cajon, electric guitar, banjo, fiddle and upright bass. It’s part country, part klezmer, part pop, part rock – you name it. Dana’s own songs have a very original voice and she doesn’t mind throwing in a cover or two including a mad closing version of “Viva Las Vegas” and “Chocolate Jesus” (again). The band was so good, I booked them to play at my birthday party. Michael McDermott & Heather Horton @Water Rats – You can find Michael McDermott’s history online; it’s worth reading because it gives some clues about the origins of his most recent songs. The two albums he released in 2016 are superb, one focussing on prison, addiction and the road to recovery, the other dealing more with life in the present as a sober father and husband. I’d seen Michael before playing a solo show, but this was great opportunity to see him with his wife Heather, who also did a support set. The addition of Heather’s vocals and fiddle to Michael’s vocals, piano and guitar added another dimension to the songs adding poignancy to “Shadow in the Window” energy to “Stolen Car” and joy and exuberance to “Willie Rain”. 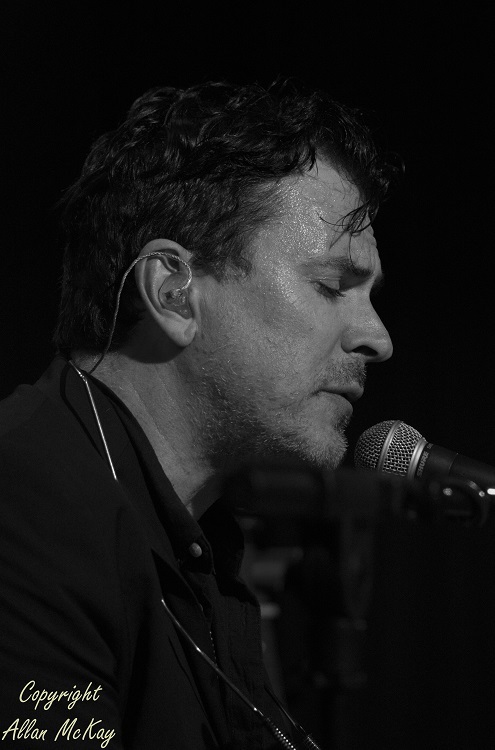 Michael’s a great songwriter in the mould of Dylan and Springsteen (with a bit of the Boss’s penchant for the wide screen) and working with Heather he creates a very intense performance. I’m guessing he’ll be back in the UK in 2018; you really should make the effort to see him. 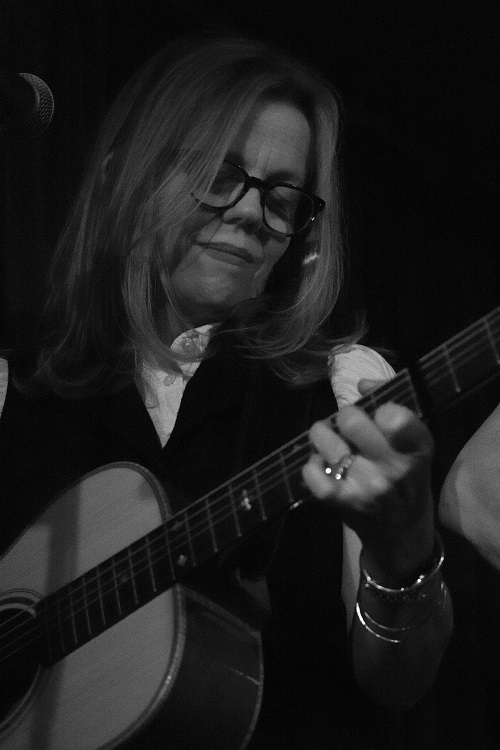 Brigitte DeMeyer & Will Kimbrough with Dean Owens @Green Note – A big night out for the Riot Squad, this one. Brigitte and Will are long-time songwriting partners and Dean and Will have collaborated on an album to be released in 2018. For fans of trivia and connections, Will also played on Michael McDermott’s Westies album “Six on the Out”. Dean played his usual excellent set with a little help from the headliners before Will and Brigitte did their thing. Will’s known as an extraordinary guitar player with a huge list of session credits, but he also has a great line in high harmonies – I’ve been lucky with the talented partnerships I’ve seen this year. The set featured mainly songs from the latest album and was a masterclass in understated delivery of great songs, particularly when they were joined by Dean for some beautiful three-part harmonies. Absolutely gorgeous. Henrik Freischlader @The Borderline – This was the second time in a year I had seen Henrik, and it was very different. Earlier in the year it was as part of a trio playing some intense blues rock as a tribute to Gary Moore, this time it was as part of an eight-piece band out to have a good time, play a few originals, a lot of covers and generally take the focus away from Henrik by giving the whole band a little bit of the limelight. Every band member was either given an extended solo or featured vocal and a chance to show what they could really do, and they each grabbed it with both hands. It was one of those gigs where everyone, band and audience, could do nothing but grin all the way home. A pretty good result considering the band couldn’t get their gear truck into the load in, had to hire equipment locally and didn’t get a soundcheck. That’s how the pros deals with setbacks. Editor’s note – Martin Harley has booked The Union Chapel to promote his own gig on Saturday March 10th. He’s taking a huge risk to play a venue he’s always wanted to play and we think he deserves some support. The Riot Squad will be there, we’re hoping you will too. 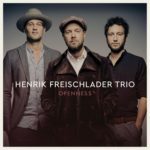 But that’s not all, after downsizing to a trio format in 2016, Henrik’s gone in the opposite direction this year, unveiling the Henrik Freischlader Big Band with singers Linda Sutti and Joanne Kasner, Moritz Meinschäfer (drums), Armin Alic (bass), Dániel Szebényi (keyboards), Marco Zügner (saxophone), Harrisen Larner-Main (guitar & vocals). With Henrik, that’s eight people on stage and a huge amount of talent. Do yourself a favour and try to catch one of these shows; you certainly won’t regret it. 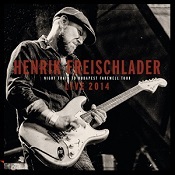 It’s only a couple of years ago that Henrik Freischlader announced his retirement, going out with an album and a farewell tour in 2014. Since then he’s concentrated on production duties for his Cable Car Records label, releasing albums by Tommy Schneller and Layla Zoe. The good news for guitar fans is that he’s back, with the new album “Openness” and a tour to support the album. He’s back to working in the power trio format with Carl-Michael Grabinger (drums) and Alex Grube (bass) and sounding as good as ever. There are some clues in the lyrics as to the reasons for the sabbatical but, hey, it’s good to have him back; there aren’t many players who can boast his technique, power and soul. The album’s opening song, “Openness”, sets the scene perfectly with a huge funky riff, a rasping blues vocal and a lyric about escaping from the past (he’s ‘overdue to be back on track’) and a squalling solo beginning and ending with waves of feedback. There’s a downshift for the second song, “Early Morning Blues”, which shuffles along through some interesting chord runs with a languorous vocal and a clean jazz tone for the solo. You know you’re in the presence of a master, and there’s confirmation when the ‘dust my broom’ reference heralds a blistering slide solo in “Lord Have Mercy” and in the chugging, overdriven riff of “Business Straight”, leading up to a wah wah solo that builds through slow chord runs to single notes flying out in squalls and flurries. The album’s next three songs develop the lyrical themes of rebirth, redemption and responsibility that permeate the album, particularly the jazzy “Master Plan” with its unpredictable solo and rhythmic switch and walking bass towards the end of the song. The slow ballad “Never Really Left You” demonstrates Henrik’s powerful soul voice and could be addressed to a lover or the audience he gave up for a short time, while the riff-driven “Nobody Else to Blame” talks about ‘falling in love with me’. “Techno” is a plea to bring back more of the raw edges and imperfections to life, driven along by a massive riff and emphasising the rawness with a clanging, atonal solo and “High Expectations” is a power trio blues about the difficulty of living with a professional musician, while the funky “Today I’m Gonna Change” channels the great Albert Collins with jazzy chords and a cleanly-picked solo. The two slower songs towards the end of the album, “Senses” and the resonator-backed “His Love” suggest that Henrik’s found a meaning or a purpose, whether it’s a god or something else to believe in and give meaning to his life. Whatever he’s found, it’s working really well for him. 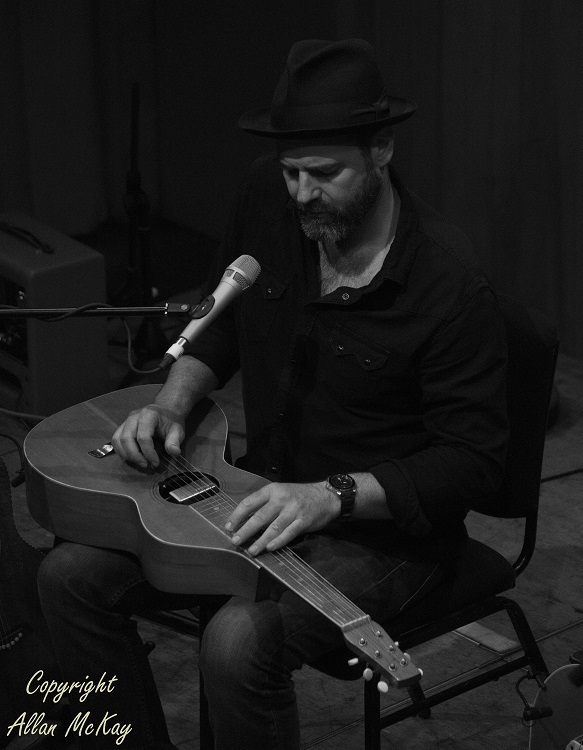 “Openness” shows all of Henrik’s versatility as a guitar player, singer and songwriter. Welcome back; we’ve missed you. “Openness” is out now on Cable Car Records (CCR 0311-47). Layla Zoe blurs the distinction between rock and blues; although this live workout has shades of quieter emotion too (“The Lily” for example, which brings out the sweetness in Zoe’s voice). The set relies heavily on her most recent work, 2014’s “The Lily” and unfortunately, the Belgian crowd seem unfamiliar with those tracks. However she kicks off with ‘”I’ve Been Down” where she sings ‘… gotta get my act together…’ in what could be a tribute to either Janis Joplin or The Doors (“Been Down So Long”), she then seamlessly slips into forward gear with a 180 degree turn to “Pull Yourself Together”, a vehement musical rant that shows Zoe’s voice to full effect. Another angry highlight is “They Lie”, ‘They’ being the political establishment; if not exactly nailing her colours to a particular mast, Layla and band remind us that there are plenty of reasons to wake up and protest and you can almost hear her long hair whipping the microphone. The difference between this album and the last is not just its alive quality, but that “The Lily” co-writer and axeman extraordinaire, Henrik Freischlader is absent, instead replaced by Jan Laacks. It would have taken a skilful and confident guitarist to audition for such an intricate set of tunes, but I have to say, if I had doubts previously, Laacks more than manages lead guitar duties, even if he tends toward more straight-ahead rock sensibilities on the whole. It’s a big listen, clocking in both discs at about the same length as a feature film, and maybe a brave release given its coverage of her most recent album, only a few of older tracks and ending with three covers (Lennon/McCartney’s “Let It Be”, “Yer Blues” and James Brown’s “It’s a Man’s World” with a more relaxed jazz vocal in places; it’s twenty minutes long). But thankfully it’s not a “Greatest Hits: Live” which can so often result in overworked arrangements to stop the band nodding off. “Live” is a great listen but you might want to take it in in halves. As often happens, with live sets, three of the tracks come in at over ten minutes, for which you maybe had to be there. However, this outing on disc certainly makes me hope that she does a dedicated UK tour sometime soon. 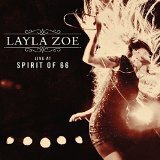 It feels like this release is more of a confirmed fan’s date; newcomers should certainly dip into this album, but I’d probably recommend an earlier studio session or to just buy a ticket and get lost in the bluesy world of Layla Zoe. “Live at Spirit of 66” is out now on Cable Car Records (CCR 0311-46). 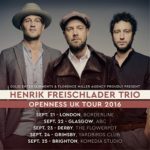 It came as a bit of a shock last year when Henrik Freischlader announced that he was undertaking his farewell tour in support of the “Night Train to Budapest” album. To UK fans, the announcement seemed to come out of nowhere but whatever Henrik’s reasons are, you have to respect them and make the most of the fairly substantial legacy that’s already out there. As a parting shot, he’s pulled together some live recordings from the final tour for release as “Night Train to Budapest Farewell Tour – Live 2014” which is released on Cable Car Records on Friday March 27th. I was quite critical of Henrik’s previous live CD, mainly because it was spread over four CDs and felt a bit unfocussed. “Live 2014” is very different. It comprises ten tracks on one CD and it’s all (apart from a small excerpt) original material. When you’re a supremely gifted player like Henrik, it’s tempting to throw in a cover as a crowd-pleaser but it can be a distraction; there’s none of that here. As you might expect from the title, songs from “Night Train to Budapest” predominate; “A Better Man”, “Everything is Gone”, “Point of View” and “Gimme All You Got” all feature, while there are two each from “Get Closer” (“Too Cool for Me” and “Keep Playin’”) and “The Blues” (“Disappointed Women” and “She Ain’t Got the Blues”) and one from “Recorded by Martin Meinschäfer”, the slow, powerful closer “Desert Love”. As a closing statement from Henrik, it’s pretty good. The band are excellent throughout, Dirk Sengotta (drums) and Theofilos Fotiadis (bass) providing a solid platform for the melodies and improvisations of Henrik and Moritz Fuhrhop (keyboards). The songs showcase Henrik’s voice (very under-rated, in my opinion) and his guitar mastery across a variety of styles from the straight raucous blues of “She Ain’t Got the Blues” through the funkier “A Better Man” to the slow controlled power of “Desert Love”. He nails the fast stuff, but his mastery of the slow and soulful is complete; there isn’t a modern guitar player I would rather hear playing slow and emotional. Because this is a live set, the emphasis is very much on the playing (which is exceptional) and sometimes the songs and the vocals lose a bit of value. I would have loved to hear something from “House in the Woods”, which was a very strong set of songs. Maybe “Breaking my Heart Again”, a powerful song with a great vocal. I’m sorry that Henrik has decided the band thing isn’t working for him but it’s good that he’s still involved in Cable Car Records as a musician , writer and producer. If the label continues to release artists as talented as Layla Zoe, Linda Sutti and Tommy Schneller, then he’s still making the world a better place. “Night Train to Budapest Farewell Tour – Live 2012” is out on March 27th on Cable Car Records (CCR 0311-45).